Goodman strives to provide high performance, energy efficient and durable equipment. 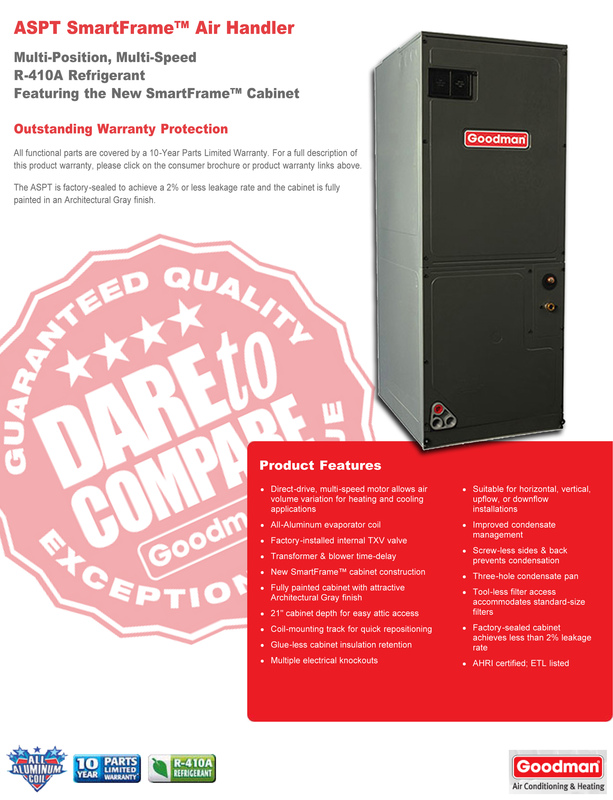 Your GSX14 & ASPT will provide reliable heating & cooling for years to come. 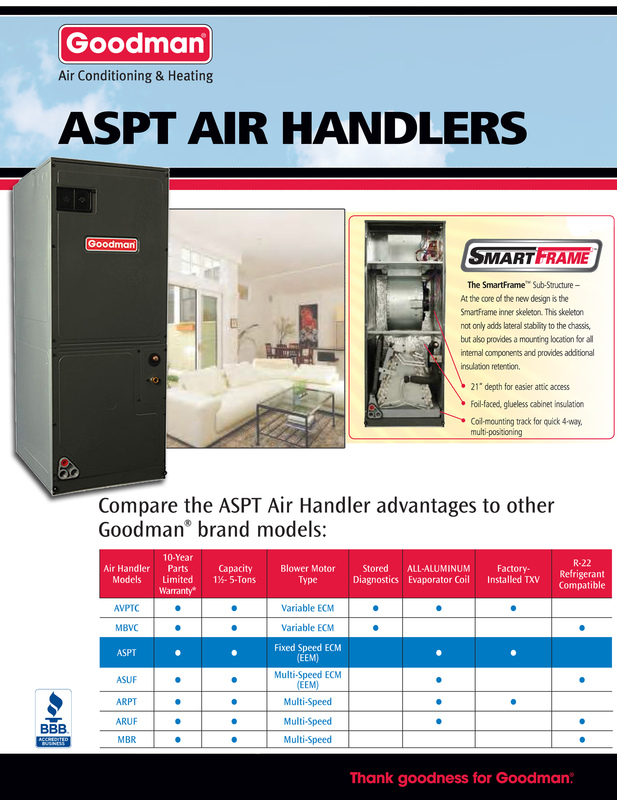 With the new GSX14/ASPT SMART design, this system meets the new 2015 EPA laws. After receiving a quote from several a/c companies I decided to check online and came across Budget and it was God sent. I saved $800 on the unit and received a 10 year warranty. I will definitely be recommending Budget Heating and Air Conditioner to all of my family and friends!